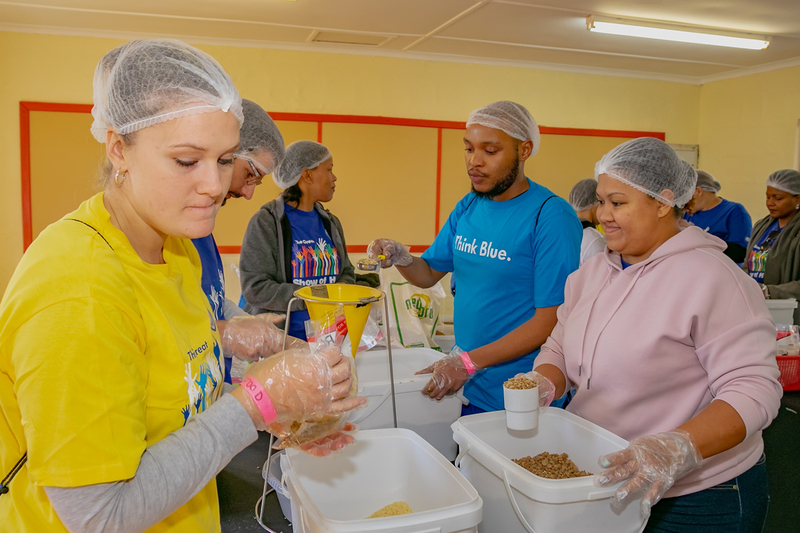 Every year, the birthday of South Africa's first democratically elected president, Nelson Mandela is celebrated when organizations and communities join hands to make a difference. This year is no different, VWSA employees and their loved ones joined hands on Saturday, 21 July 2018 to uplift and renovate the Vuba Primary School in KwaNobuhle, Uitenhage. The primary school has 295 registered learners who attend classes from Pre-Grade R to Grade 5. The school which has been in operation since 1973 was in dire need of much needed tender lovong care. More than 230 volunteers assisted with painting of interior and exterior walls, the installation of playground structures, the painting of murals inside and outside the classrooms as well as planting a water wise garden. Grade R to Grade 3 classrooms were also gifted a mobile library full of age appropriate reading books. In addition, the volunteers rose to the challenge and packed 30 000 meals for the less fortunate in partnership with Rise Against Hunger. 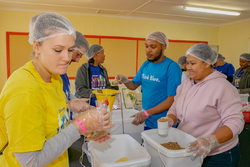 This brings the total number of meals packed by VWSA in 2018 to 100 000.